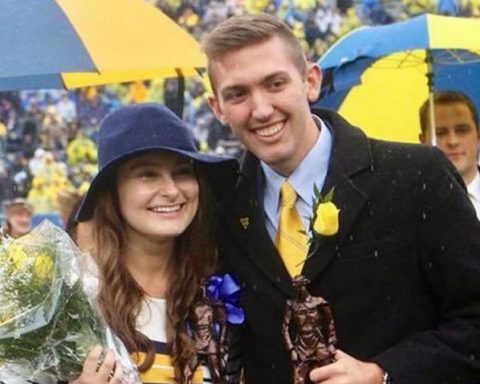 Every fall during Mountaineer Week at West Virginia University, two outstanding students are recognized as Ms. and Mr. Mountaineer. 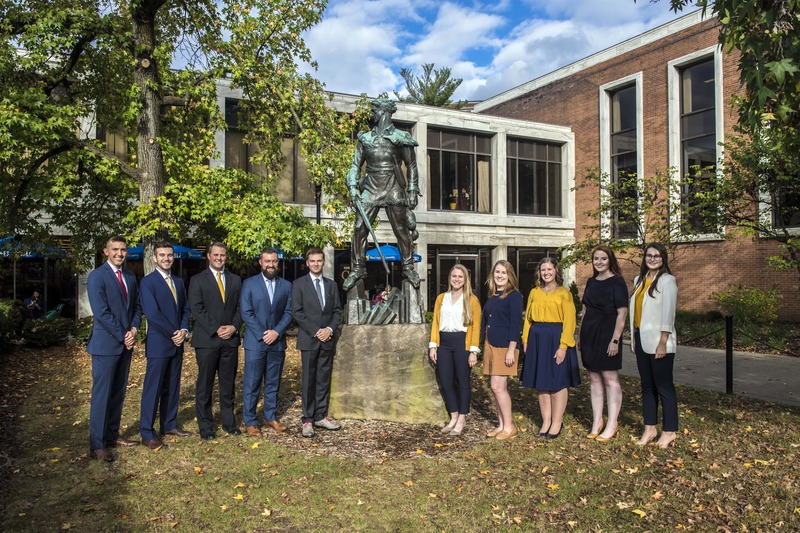 Five male and five female finalists are selected from the student body based on their outstanding academic achievements at WVU and their involvement in extracurricular activities. 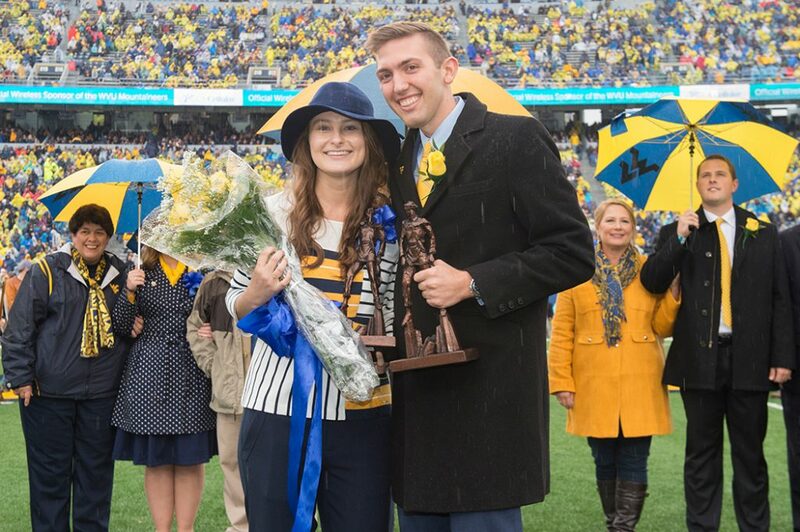 The honorees are then announced during halftime of the WVU football game at Milan Puskar Stadium, marking the conclusion of Mountaineer Week. (via WVU Today) Finalists for 2017 WVU Mr. and Ms. Mountaineer from left to right: Garrett Burgess of Elkview, Tanner Filben of Glen Dale, Hunter White of Clendenin, Trevor Kiess of Elkins, Ahmed Abdul Haque of Bridgeport, Megan Barthelmess of Hurricane, Morgan King of Charleston, and Rachel Lynn Sager of Irwin, Pennsylvania, Brenna Leasor of Morgantown, and Savannah Lusk of Covel. 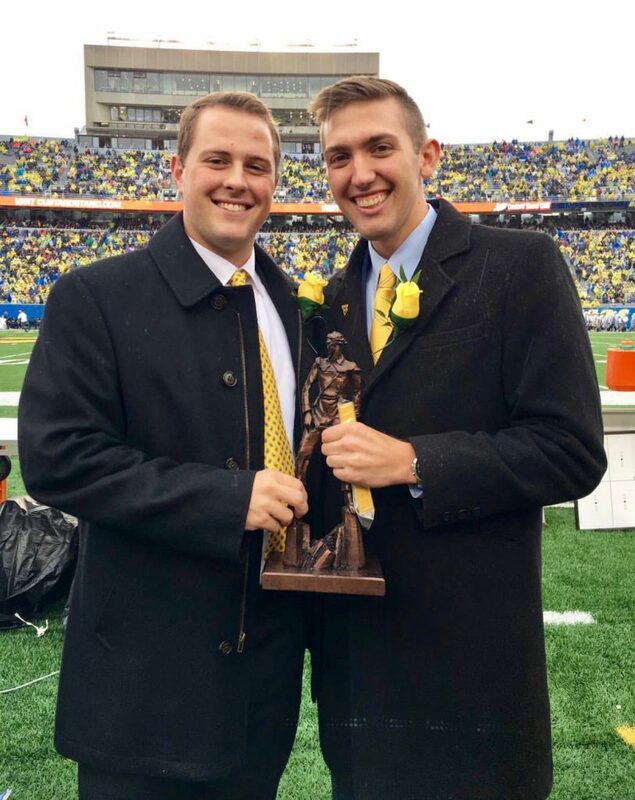 On October 28, 2017, at halftime of the WVU/Oklahoma State football game, there was not only one Herbert Hoover Alum standing at midfield as a finalist with his Elk River family, but two; best friends and WVU roommates, Hunter White and Garrett Burgess. Hunter White is the son of J.E. 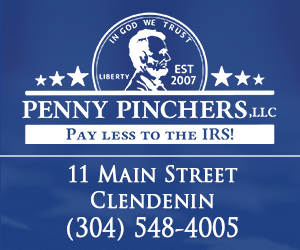 and Rhonda White of Clendenin. Garrett Burgess is the son of Mark Burgess of Elkview, and Sheila Parsons of Clendenin, now in Rock Hill, SC. Garrett Burgess received the nod and was announced as WVU’s 2017 Mr. Mountaineer. Savannah Lusk former graduate of Wyoming East High School was named Ms. Mountaineer. Garrett Burgess played basketball, and ran cross country and track while at Hoover. He was also a member of the “We the People” debate team and the National Honor Society. He is now a Senior Honors College student at WVU and a Political Science and Russian Studies major. This past year he was endorsed by WVU for the prestigious Rhodes Scholarship and the British Marshall Scholarship. He serves as a Student Ambassador for the Eberly College, and is President of the WVU Model United Nations Team and the Russian Club. He is also a Wing Commander in the Air Force ROTC Detachment. The Clendenin Leader spoke with Garrett about this amazing honor and asked him what it meant to him to be an Elk River native and to have been named WVU’s 2017 Mr. Mountaineer. As a WVU student who graduated from Herbert Hoover High School, Garrett Burgess said he is a product of the West Virginia education system all the way through, and that these cuts just wouldn’t make sense for the future of the state. “In West Virginia we say we value opportunities for all,” Burgess said, “yet the sentiment has not been shared in the halls of this legislature.” Burgess said that since 2008, higher education funding has been reduced by $130 million and tuition in the state has gone up by 147 percent since 2002. “Investing in higher education rather than cutting it is a way West Virginia can ensure better future and more opportunities for its people,” said Burgess. The Times WV reported a similar story on April 6 which also included many quotes from Garrett on this issue. Earlier in 2017, Garrett was also named a Newman Civic Fellow by the Campus Compact, a national non-profit organization. He plans to use his fellowship year to work with the Veterans Advocacy Clinic in the College of Law. Here he plans to help those who received less-than-honorable discharges due to misconduct arising from mental trauma such as post-traumatic stress disorder and traumatic brain injuries. 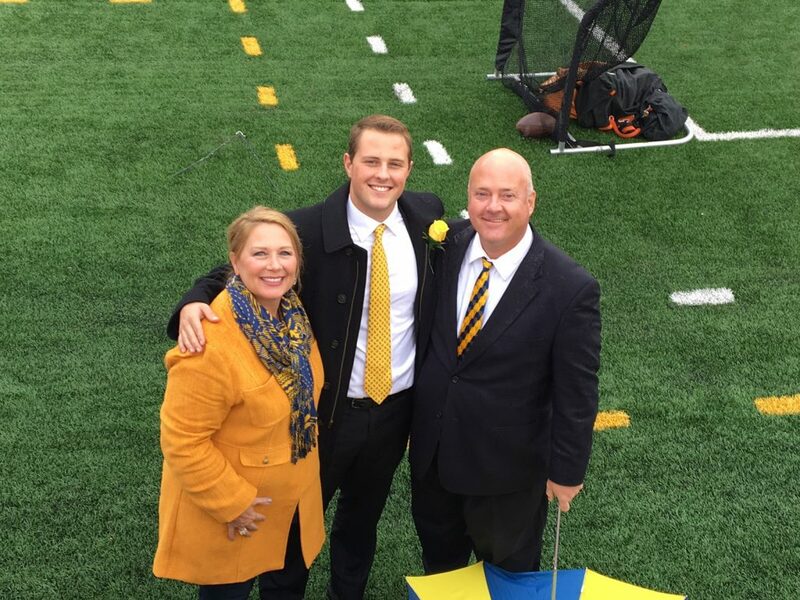 Click HERE to read WV Public Broadcasting’s story “WVU Fellowship Winner Aims To Help Veterans Access Benefits”, about Garrett being awarded a Newman Civil Fellowship. He has traveled abroad studying Russian in Latvia and Lithuania as a recipient of a prestigious Project GO Scholarship, a critical language scholarship for ROTC. He was also awarded a Gilman Scholarship to return to Latvia for an internship to conduct field research on the effects of the Russian language on politics and the relations between the Baltic nations and Russia. Garrett and Hunter teamed up on a film project together while at WVU in 2016 and produced a short documentary-type video called “The Invisible Wound”. Garrett acted the part of a veteran suffering from the effects of PTSD. This production was so good that it became a finalist at the 2016 WVU Campus Movie Fest and was awarded a Jury Award. View all student entries for the 2016 WVU Campus Movie Fest. Garrett and Hunter are again at work on another project together and this one is directly related to the Elk River area. Both of these young men volunteered to assist with relief efforts shortly after the 2016 flood, even bringing other WVU students with them to help. 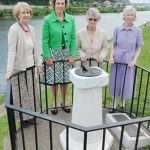 They saw the devastation first hand, so later decided to apply for a grant to assist them in funding another documentary-type project about the flood. 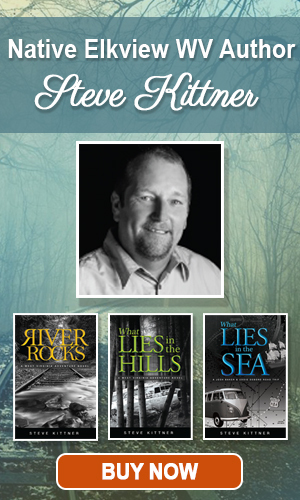 This will include documenting the long-term effects of the flood to our area and to the people who lived through it. They are currently interviewing many individuals up and down the Elk River Valley for this project and The Leader plans to follow their progress and report it as it becomes available. It is important to note that this recognition is not the same as being named Homecoming King, which is done through student voting. The Mr. Mountaineer honor is based on academic achievement and extracurricular activities. It requires a sponsor (usually the department in which they study), essay writing, and an interviewing process. Garrett and Hunter sat down with The Leader and talked about how they were both selected as finalist. Ironically neither knew that the other had even applied. They also discuss the selection process for becoming a finalist and for ultimately being selected as Mr. Mountaineer. Congratulations to Garrett Burgess, 2017’s WVU Mr. Mountaineer, and to Hunter White, a finalist for the award! Herbert Hoover graduates doing exceptional things in life and making all of Elk River very proud! 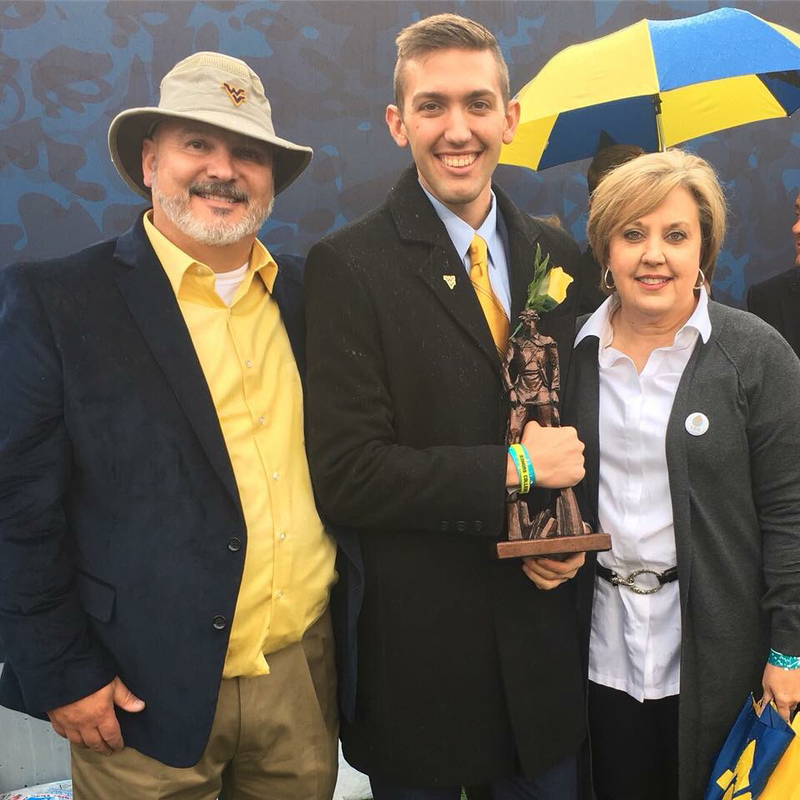 Also CLICK HERE to check out the “Youth Spotlight” interview with 2017 WVU Mr. Mountaineer Finalist, Hunter White!